There’s something intoxicating about new experiences. Good or bad, it leaves behind a sweet itching in our throats; a calamitous aching for more. Yet we remain obsessed about our precious routines too. We hold them close in fear of being asphyxiated otherwise. Perhaps the truth is that we want some facets of our lives to turn into ticking bombs filled with confetti and love. And others, soggy and lukewarm, filled with predictability. Birding at new locations is always a thrill. A rejuvenating experience irrespective of how many birds show up. Or whatever happens along the way. Ousteri Lake in Puducherry, ever since the government declared it a bird sanctuary in 2014, has been on my radar . Also known as Osudu Lake, it covers about 400 hectares of wetlands. Nearly 40 species of rare migratory birds consider it their roosting ground during winter. A large number of residential beauties can be spotted too. Last weekend I sneaked in to take a peek at her splendor. I left at around 2:30 AM from home since it was a 3 hour drive to the lake. There are two routes from Chennai – via the road to Mahabalipuram or the one to Tiruchy. I chose the former because I am not the sharpest scalpel in the serial killer toolbox when it comes to road travel. The distance might have been shorter, but the drive was much more stressful. The Mahabalipuram-Puducherry route isn’t a safe one to take unless it is in the light of day. The lighting is so poor that every dullard of a driver insists on using the high beam option on their headlights. It was no different when I drove down this time. But at least it wasn’t a surprise. The heavy rainfall that hijacked the hours between 3:30 AM and 5:00 AM certainly was. I did consider taking a U-turn to return home. Visibility wasn’t just poor, it was bankrupt. But sunshine started to play hide-and-seek with me. Not in the literal sense, rather a wave of optimism. I convinced myself that I could not lose anything valuable while in pursuit of the new. I finally reached the rocky road to the Oustseri Lake at 6:00 AM. It was more of an inactive minefield than an actual road. I found a spot to park the car and decided to walk for about three kilometers around the lake’s border. It was one of the most serene places I have been to in Puducherry. Deserted; a tad creepy even. Even though there were a few farming estates nearby, there was not a soul around. The lake more than lived up to its reputation as a haven for birds. The place was alive with the sound of cackling Grey Francolins. 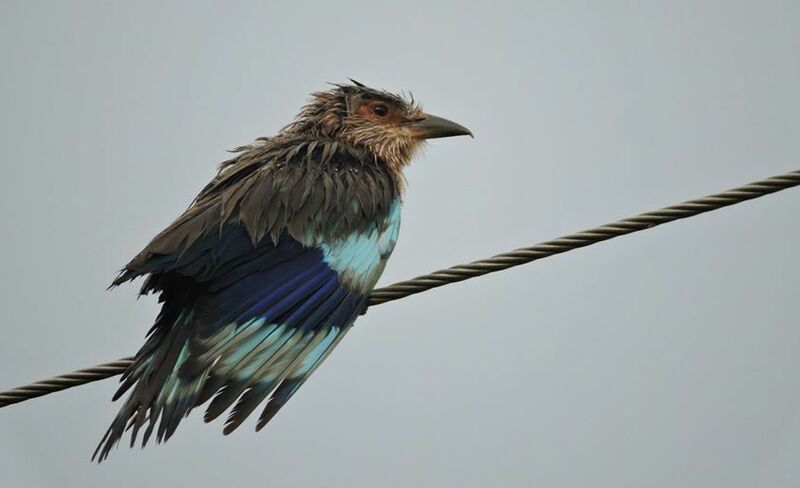 The usual suspects – Common Mynahs, Black Drongos, Sunbirds and Indian Rollers – were around. Many White-Browed Bulbuls, Jacobin Cuckoos and Ashy Prinias too. A Shikra and a Spotted Owl flew out of a palm tree, and away from my lens, at the same time. A pair of Red-Wattled Lapwings flew in to console me with their crane kung-fu postures. I found a particular stretch of the wetlands to be especially inviting. A long and narrow pathway, flanked by stunted trees & wet shrubs, which led to a broken-down farm house. I hesitated since it was marked as private property. But I couldn’t resist the urge to follow a Lesser Flameback that flew towards its direction. I took it as a sign. Maybe it was a warning. As it turned out that I was mercilessly attacked by insects. There were so many of them that it was impossible to stay still in one place for more than a second. The owner might have been the overlord of every rogue flea circus in the world. Or the cattle dung and bird poop, present in large quantities, had attracted an army of flies. Towards the end, I had to run towards the gate, flaying my arms over my head like an inflatable tube man. But I was a happy inflatable tube man. A White-Eyed Buzzard had been observing me the entire time. I was a little embarrassed at first. Not for long though. She took off as soon as I returned to the car. I was sure that she was looking out for me. My guardian, of sorts. I am aware of the lack of rationale behind such an assumption. It pales in comparison though to the courage I draw from such beliefs. The energy it gives me to keep pursuing new experiences. And no matter how far away I am from my house in Chennai, I will always find a home wherever I go. As long as there are birds unchained to the skies, I will be home. The story of eco-conservation in Outseri is still a sad one. Even though the Puducherry government has declared the region as litter-free and plastic-free zone, the reality of it is a different portrait altogether. There were enough broken bottles and plastic items near the lake to break each one of our hearts. Oooh… lovely. The Chennai-Pondicherry road is indeed extremely rich in birdlife; on a drive from the latter to the former we saw probably over 50 kingfishers – and Asian Openbill Storks, those gangly, slightly comical creatures that I couldn’t really believe were real! I didn’t know before it was, I can’t wait to drive by on a brighter day. 50! Yavoooza that’s a lot. Openbills, giggles. Along with ibises, they look like the alien bird from Looney Toons episodes featuring Marvin the martian! Hey thanks for the link-back! This was one of the things I regret not visiting on my trip to Puducherry! From your post, it definitely looks like something I’d enjoy! 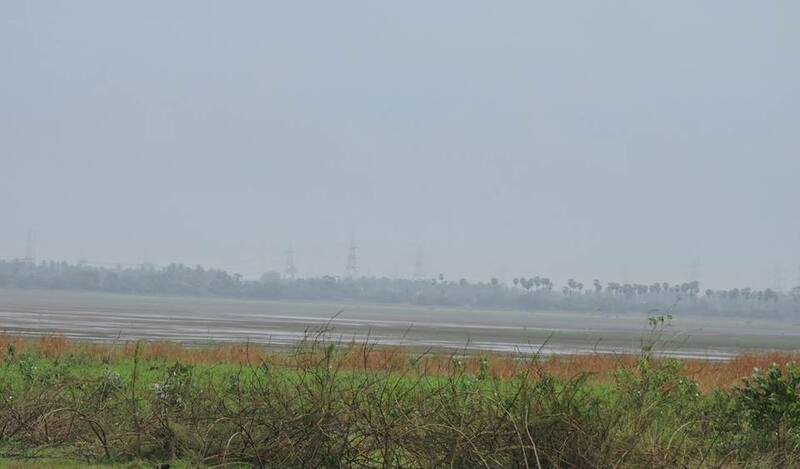 Have you heard of Vedanthangal bird sanctuary? It’s near Chengalpet and also homes a lot of wonderful birds. You gotta visit it in the right season though! Ah yes my friend, Vedanthangal is a favourite haunting ground of mine. Glad to stumble into your photographs, happy birding! Looks like a great spot – despite the debris. Oh yes it is! More of these rains might, metaphorically and literally, wash the stench away. Wow, just found time to visit your blog after quite sometime. Incredible, awesome clicks. I do know what birdwatching involves and without that energy you draw out of nature, its almost impossible to be on it. By the way, keep Off ECR route, it is just not safe. Not sure of you have been to the one sanctuary on the vandavasi route near chengelpet. Heard its awesome. Thank you so much Katie. Do come back whenever in a birdie mood! Aye about the ECR route, a cooler head shall prevail. An amazing place for bird-lovin! They have started suspecting me of foul ventures, that’s how often I go there. No, it’s not vedanthangal. Its name starts with Karigari or something similar. Will find out n let you know. Maybe karungizhli then. Thanks a bunch for the info! Thanks Stephen! As different and vivid as our experiences might be, such similarities they hold in terms of how they make us feel! What a delightful read 🙂 And a lovely catch! The plastic and bottle bits do break our hearts, It is really sad. Thanks Shail! And sigh, yeah it is heart-breaking to see the damage done. Once again, a delightful story, words that free me from my own settled chains to fly free in the skies of mind. A blessing. Thank you. Thank you muchly, Tio. Always a blessing to have you back here!